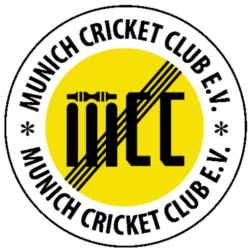 Welcome back to the Hirschanger cricket ground for the much-awaited annual Munich Ashes. When the Aussies stumbled into the ground, the usual rumblings eminated from the ever hopeful Englishmen that hail was forecast for the late afternoon. However, the weather was beautiful with not a cloud in the sky. Blaring music blasted out from the teams’ change rooms, the Aussies crooning to Cold Chisel, and the Poms singing shrilly Rule Brittiania – whispering at what was to come, the match up of the year between Bunty’s Boys and Lovell’s Lords. Bunty Blades and Lovell had a toss, and using his superior coin tossing skills, Bunty won the toss he had to win; otherwise he would have been in the field with only 9 takers. Glig the liability of course was late – crawling. So Horse and Oh!McGree took their Aussie blades onto the pitch, whilst Butcher Schmidt and Flowerpot Hebel strapped on their pads, just in case. A strong half-century opening stand meant those pads would not be needed for a long time. Despite a brief moment, where Oh!McGree pretended to nick the ball behind, this solid opening partnership nearly lasted till drinks – seeing off the opening attack with aplomb. However left-handed Horse Carr spooned one up in Gale’s first breezy over, departing with his tail between his legs back to the pavilion for a well-made 20. The butcher stepped onto the field, and showed his ability to stick around (surviving 2 massive LBW shouts where the umpire was allegedly unsighted) and let Oh!McGree continue the good work. After a drinks break, they went back out there, and were soon both run out in a series of mix-ups, but not before Oh!McGree knocked up 44 with the Aussies on the way to a good total. The demise of cranky hard man Hebel though was not a good sign, showing that Pommie Bostock was bowling a wicked line.’ You need a bit of luck’ – muttered the successful bowler. A rally by Roid Grier and the TrumpCard Ringer (Kann) commenced, pushing the team well past the 120 mark, until Trumpie skied it to Power who held a good catch on the fence. Following that Huhner (Khanna) and Bunty Blades added themselves quickly to the Pommie hat rack, bringing Hitman Holmes to the middle. Hitman tried to give the strike to Grier by knocking it through Jumpers Scott (sorry Paul – hope the arm is fine now), leaving Lord Stringy bloke to complete the rest of the over after Scott was unable to continue. Grier belted a few more with some large hitting before being bowled by Bostock. Glig gave the Phantom Plummer a pretty easy LBW decision next ball, and Pommie Pogue-stock suddenly had a Michelle 5-for. Muzza Coles came in, cool as a cucumber. Despite the close field and pending hat-trick (perfect for that growing hat-rack), scored a couple of runs pretty quickly, and defended those wickets stoutly. Hitman then played across a straight ball, ending the Aussie innings a couple of overs short, giving Pommie 6/25, and leaving the Aussies to defend 149. Lord Power and Duke Jumpers opened the chase, whilst Trumpie opened the bowling, and very early on shattered Power’s furniture. The Gimp, meanwhile was let loose at the other end. He performed admirably to remove Jumpers before he and Jardine Lovell could get a good partnership started. Jardine stood unworried for a while, scoring well, whilst Oh! McGree did it again! removing Sir Schuaib and Gardener Gale quickly. Pommie Bostock and Jardine then proceeded to move the score forward keeping the English in the game. However Jardine wrongly tested Bunty’s juggling technique at 1st slip. The Quiet man had ‘done it again’. The Tour Organiser Edwards replaced him, and kept some sort of momentum going, but when Bostock had had enough to be replaced by Rusty watch Nichols, some Englishmen looked towards the sky for the hail rumoured to be approaching. Horse scored the Rusty’s wicket, and Puddicombe came on and soldiered valiantly helping the Tour Organiser towards the 100 mark. And the fat lady was soon spotted by the men’s urinals loosening her vocal chords. Cider Edwards blasted one to Bunty’s good hand to be C&B in a flash. Finch helped Puddicombe for a short while, until he departed when threatening to break loose. People wrongly presumed it to be all over when the Stringy fellow come on to the field, with almost 50 runs still to win. However these guys showed many upper order batsman in both teams, that sticking around and scoring runs wasn’t really that hard, until the score reached 119, still 30 runs short, Puddi was bundled out, leaving Stringer stranded on 10*. A tough entertaining day ended with Aussies on top, a good thing, because after 9 years of Ashes battles, it would not be nice if we (Aussies) were 8-1 down. Thanks for Des & Wayne for the organisation. The darkest of dark horses (Hamilton) for scoring. Bunty for getting the best bunch of Aussie blokes together to play, to the real Kiwis for Umpiring, to all the boys (even the Poms) for playing, and for those poor buggers who came to watch us. The evening ended up with a great barbie with FORSCHUNGSBRAUEREI beer which no-one recalls drinking. A top drop. MCC England 119 all out. 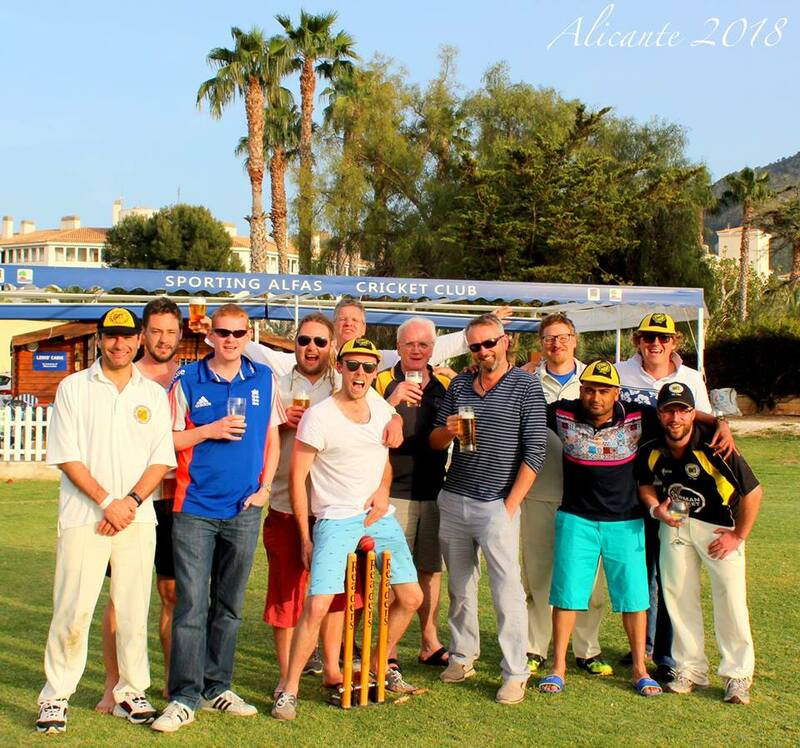 MCC Aussies WON BY 30 RUNS.